Wood, metal and deluxe PU leather in total harmony. Such is the eclectic design of our Bentwood Bar Stool that stands out from other mundane offerings. 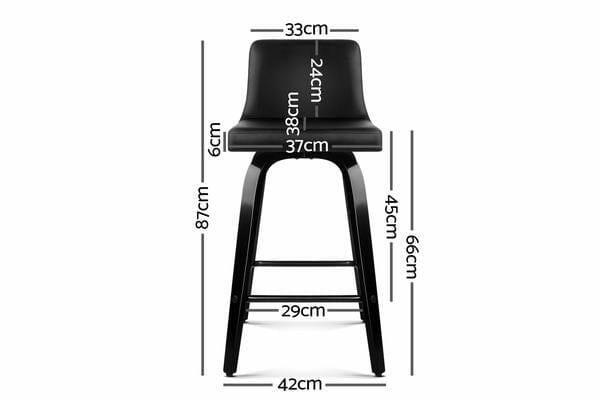 Meticulously crafted with solid plywood in a stunning walnut finish for the frame, the Bentwood Bar Stool features a generous 6cm thick faux leather seat that swivels 3600 and a similarly padded backrest that feels comfortably smooth and looks absolutely classy. 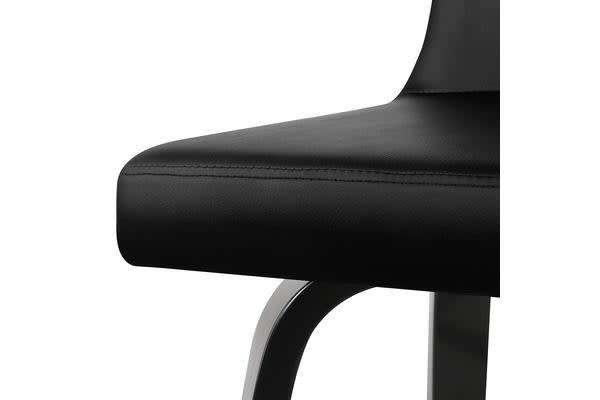 The mid-height backrest also provides appreciable support while the anti-slip rubber pads at the bottom of the legs remain firm and steady even with robust use. Not least, the chrome steel footrest lets you perch in style, feet up. 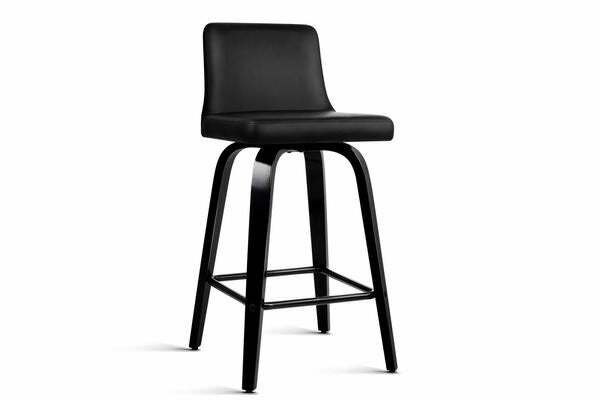 For home, office, bar or café, the Bentwood Bar Stool is a masterpiece of creative flair in more ways than one.